A bright restaurant with air-conditioning. A terrace. A semi-gastronomic cuisine. Enjoy! A muted and warm place. Pfaff, Bourganel, Milliat, alcohols, wines, and products from the delicatessen to nibble. Wines and champagnes from excellent winemakers. Some organic. Yield to the temptation! A wide variety of products, selected carefully. Flavours from here and elsewhere. Come and discover them! Have you loved your tea or coffee you drank at the bar? Do you want to take away a spice or a wine you tasted at the restaurant? And more? Find them in our delicatessen or in our wine cellar, and buy them! Moreover, the setting of our place enhance the synergy since they are linked to each other. You can walk freely from one to another. High quality products, strictly chose by our team. Tasteful products, for all budgets. We create a bar and a restaurant to harmonize all these products, and to let you savour them at the best prices. We propose spirits with a majority of rums and whiskies, dreaming about all these far away lands. We choose winemakers for their passion, their respect for mother nature, and for the high quality of their production. We select fine handmade delicatessen products focusing on high quality but looking for a great quality-price ratio. 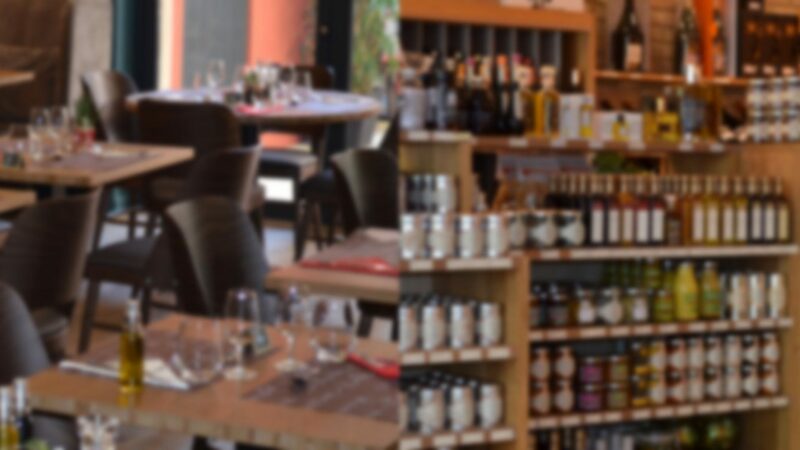 Discover on the "Restaurant" page our new menus Brasserie and Gourmet! We also updated the drinks list of the bar and the restaurant.